The Royal Thai Army Television’s production van combines a compact and lightweight construction with advanced OB production capabilities. 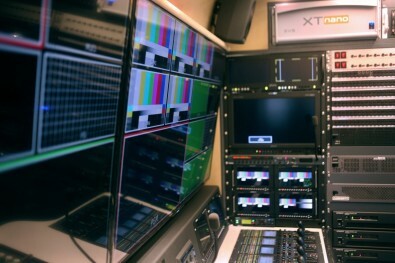 Thailand’s national broadcaster, Royal Thai Army Television, has taken delivery of a multi-functional outside broadcast (OB) production vehicle designed, built and commissioned by Hitachi Kokusai Turkey. Starting with the standard Mercedes Sprinter truck, Hitachi implemented extensive modifications, installing stabilizing jacks, thermal and acoustic insulation, on-board air conditioning and a purpose designed ergonomic working environment for the six-person team. All cabling is stored on motorized drums within the vehicle meaning that set-up and breakdown of events is swift and easy. Hitachi’s challenge was to specify and integrate the latest production technology from trusted industry vendors. Hitachi’s next challenge was to specify and integrate the latest production technology from trusted industry vendors. 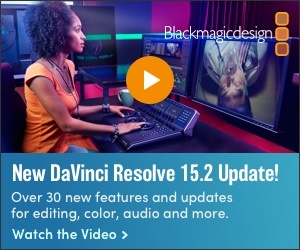 Alongside its production cameras, which are fitted with Canon lenses, the vehicle includes Ross vision switchers and 3G/HD-SDI routers; EVS slow motion servers; Inscriber character generators; recorders from Panasonic, Sony and AJA Video; Blackmagic Design HDMI-SDI converters; a Yamaha digital audio mixer and other audio gear from Sennheiser, Trilogy, Genelec and Tascam. Hitachi Kokusai Turkey said that it has many similar projects in production and that this small form factor, high engineering capability is proving popular, especially amongst Asia Pacific region broadcasters. Each vehicle is individually configured to meet the needs of its owner. On this project, Hitachi worked closely with its local representative, Bangkok-based P.S. & Sons (Thailand) Co, Ltd.